Great design begins a connection. So your designer should be just as connected as you want your customers to be. Read our eBook on how to find an ideal design partner. Changing or updating your brand is an important decision to make. Choosing the right designer is even more important. If you are seeking an external partner to help optimize your brand with a new design, there are many things to consider. After all, your brand, including your website, logo and design elements, is the way in which your customers see you. You want your audience to connect with your brand; a great design begins that connection. 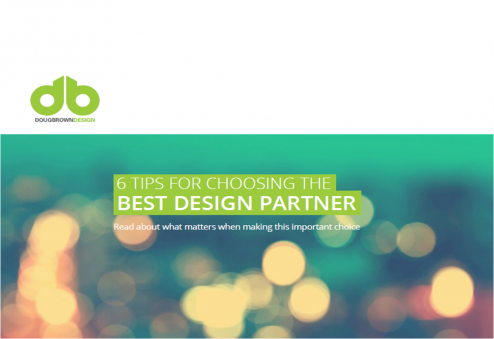 Read our new eBook to discover 6 tips for choosing the best design partner. Happy reading.